Congratulations to University Schools senior Derek Gonser for being our D6 Athlete of the Week! 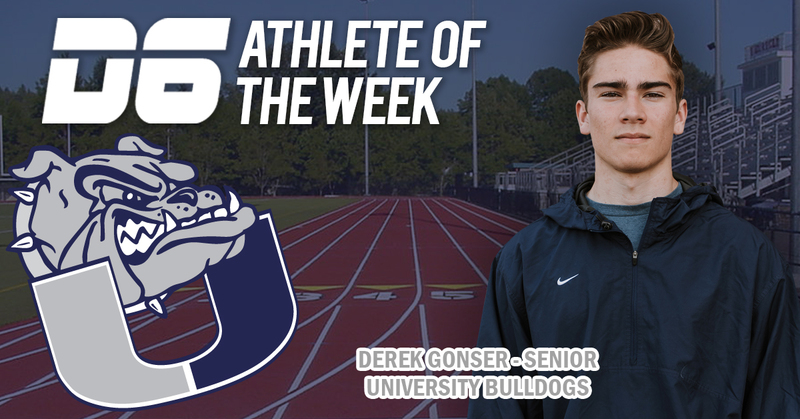 Derek is a long and triple jumper for the Bulldogs, and is gunning for the school jump records. With PR’s of 43 feet in the triple and a little over 20 feet in the long, he is within two feet of the triple jump record and three feet of the long jump record. Both records have been standing for over 30 years. Currently, he is ranked 6th in the state for Triple and 11th for long jump. We look forward to seeing how Derek does at the State competition in May!